Is between two and five? Are you in the mood for an exquisite high tea taken in a peaceful hummingbird garden, followed by a sunset stroll down a nature trail? You'll find just that at Tohono Chul Park. Delightful. My parents used to live within walking distance of Tohono Chul, on Krizan Drive. Many, many wonderful memories of quiet walks spent there. Please keep me in your thoughts as I work to help me and my family return to Tucson from 10 years spent in the cold, humid DC area. Thank you for producing this blog. 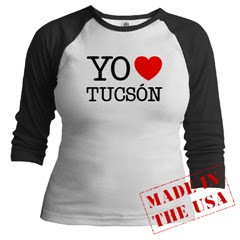 Tucson is also my querido, my beloved. I want to return there with my family, after a long absence, but this time I'll do it right!